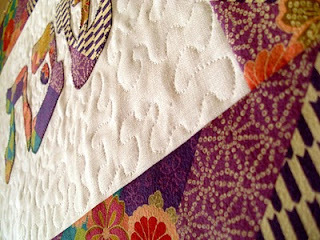 With a beautiful japanese fabric purchased at Amitie. A unique wedding gift. Have a ball at the wedding T!!! Very nice, love that fabric! Thanks Andi. I showed the family and everyone loves it! I can't wait to give it to them. 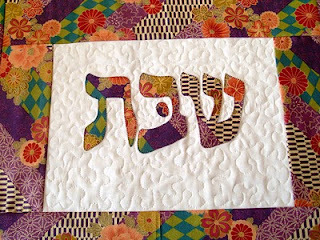 an-droyd .... if you would really like me to make you a challah cover, I need some way of contacting you. Are you getting sick of these yet?